(VOXtra) - From his early Star Trek journeys to today's tongue-in-cheek TV commercials, William Shatner has been an acting and celebrity icon for our era - and on November 15 he'll be honored with the Voice Arts® Icon Award at the 2nd Annual Voice Arts® Awards Gala in Hollywood. Shatner's remarks promise to be memorable. Yet center stage through most of the event will be the winners of this expanding voice over industry awards competition, presented by the Society of Voice Arts and Sciences™ (SOVAS). The Gala will be held at the Pacific Design Center, starting with Red Carpet arrivals at 6 p.m. On the previous day, SOVAS presents its annual That's Voiceover™ Career Expo, also at the Pacific Design Center. Entries to this year's awards program closed on August 31, and the number of entries "is up 300 percent" from the inaugural program in 2014, notes SOVAS Chairman and CEO, Rudy Gaskins. SOVAS also recently announced who is judging the competition's entries, in their categories of expertise. Some jurors desired that their names be withheld until after the judging is concluded, SOVAS notes. 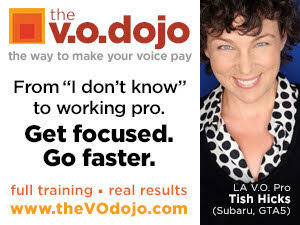 But the list below is itself an impressive array of many of the voice over industry's top professionals. I want to extend a big, warm thank you to John Florian for taking the time to celebrate the jurors of the Voice Arts® Awards. John, it’s not unexpected, given the extraordinary energy, intelligence and care you bring to VoiceOverXtra and the voiceover industry, but clearly you’re a one of a kind individual whose heart and soul are at the core of everything you do. I am very appreciative of the impact you have on all of us. As for this incredible group of jurors, I want to point out an interesting fact. 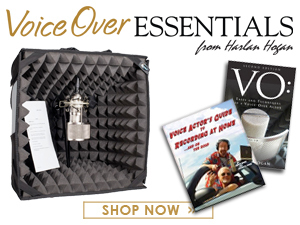 They have each have 10 to 50 years in the voiceover industry, combining for several hundred years of professional experience. Think about that. We're literally talking about centuries of experience being brought to bear on choosing the best of the work submitted. Beyond that, the jurors were chosen because of their zest for hard work and high achievement. That means they were already navigating ambitious schedules and activities that would make most people’s heads spin. Still, they made the time to share their expertise so that our industry can flourish through a process that is professional, authentic and built on integrity. In any meaningful award program, the jurors are the heartbeat of it all. There are so many other things that each of them could have been doing, rather than scoring award entries: working, tending family obligations, personal projects, recreational pursuits, or just decompressing from the stresses of everyday life. Instead, they chose to take part as jurors. On behalf of the SOVAS™ Board of Directors, our gratitude could not be felt more deeply than it is. We are indebted to each of you for your very precious time and thoughtful consideration of the entries. Thank you.